My husband loves superheroes and sci-fi and I figure a lot of dads out there probably do too. 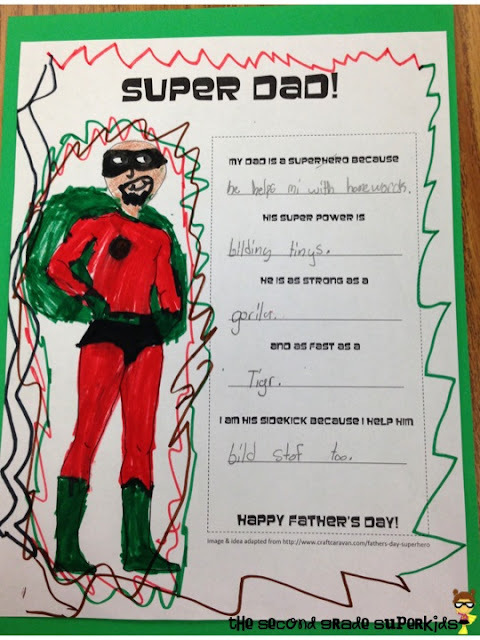 So I found a roundup of gifts your kids can make for Father’s Day for superhero loving dads. I have included not only gifts that you and your kids can make yourself but also some great gifts you can order and buy if DIY is not your thing. They are all superhero gift ideas for dad. So if your dad or your kid’s dad are big fans of superheroes these gifts will be ones that they love and cherish. I know that with Avengers coming out this year and doing so well I know that there are lots of guys out there who love superheroes. So check out these superhero gift ideas for dad and find the one that the guy in your life would love. 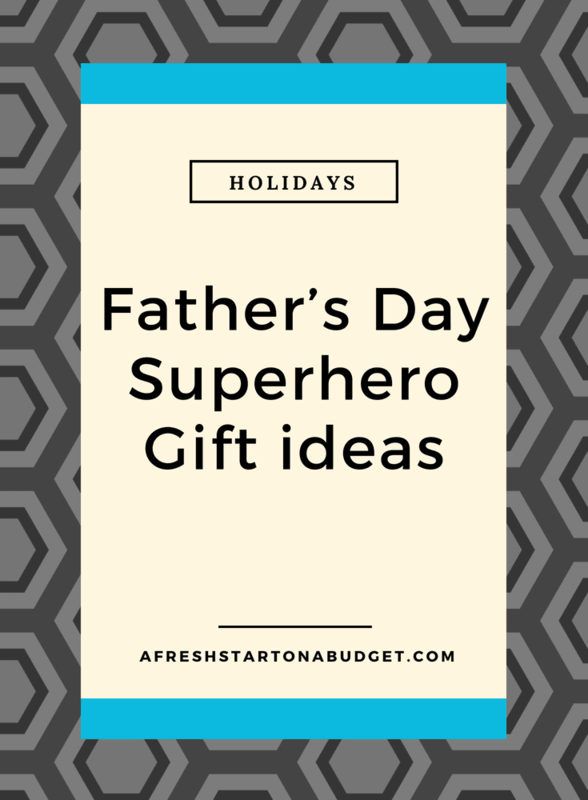 I hope you found this list of superhero gift ideas for dad to be of help and that you have found a great gift idea. 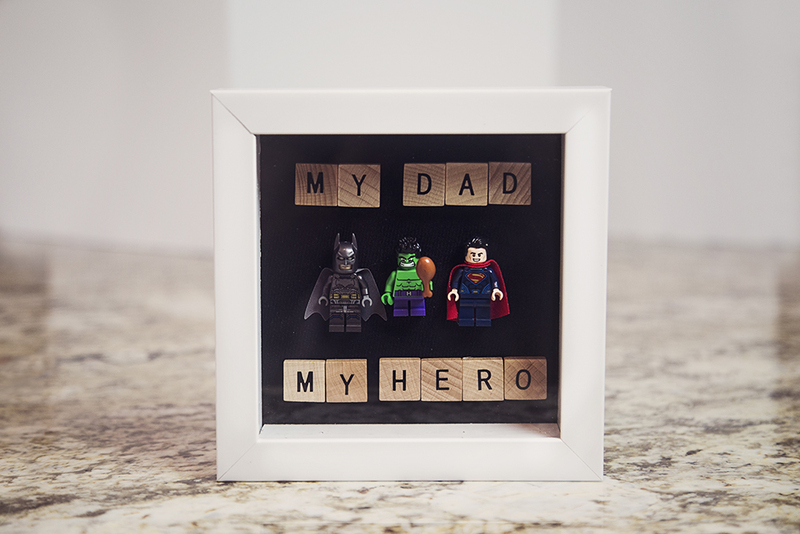 I’m sure if the dad in your life loves superheroes he would love one of these amazing gifts. They are all lots of fun. Need more Father’s Day ideas check out the Father’s Day Barbeque ideas that are perfect for a summer celebration. Super great ideas! What Dad doesn’t love Super Heros! Super heroes always remind me of my son, who used to pretend he was Batman when he was a little boy and loves Flash, Green Lantern, Captain America…. He will be a father for the first time this summer. He’s gonna make a great dad and I can’t wait to start helping my grandkids make Father’s Day gifts for their dad. Thanks for sharing this inspiration! What awesome gift ideas! I especially love the first one. I’ve seen that poem before. Thanks so much for sharing! i love the super hero snacks!!! So fun. Thank you!! What cute ideas! My husband loves superheroes, and I love the “daddy is my superhero” thing. Cool ideas! I’m bookmarking this page. Who doesn’t love super heroes?! Such great ideas for the men in our life. Star Wars is always a hit for our family and now we are totally into all the Avengers. Thanks for the great inspiration. I might just have to make my husband the Superman sign. I know my husband loves all super heros and would like all these gifts. Great round up! Thanks for sharing! Love the Super Hero theme! Thanks for sharing these Father’s Day gift ideas and link up. Looks like there are some great posts here. So many cute ideas, I really need to decide what I’m doing for hubs. It will be here before we know it! How sweet! It’s funny, I’ve never really been into super heroes myself so i guess I don’t really put that with Father’s Day… but it is so AWESOME because Dad’s ARE super heroes! What a great round up… thanks for sharing! Such cute ideas!